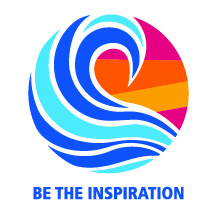 As the Rotary International Convention 2018 gets underway in Toronto with 24,000 Rotarians attending and the theme of Be the Inspiration, we continue our endeavours to build flexible and innovative Rotary for the 21st Century across South East Hampshire, South Wiltshire and East Hampshire. It is exciting to be part of an international organisation that builds awareness so we as people can take Action. It was therefore with pleasure that President Janice inducted Lisa MBE as a Rotarian in Havant on Saturday along with her professional Hearing Dog Inca. Both were so proud to join Rotary for busy people. Inca has come up with a great idea of how we can support the Hearing Dogs cause – in the South Hampshire branch they collect Postage Stamps, can we help them? Please collect any postage stamps you have so we can pass them on and in some small way help Inca to do her service for others as part of Rotary. As part of the Kings Theatre’s contribution to the Portsmouth Festivities, our Theatre Innovation Group, who were practically demonstrating that the Social Model of Disability is possible given opportunity, put on a really good performance on Friday. The Shoes That Were Danced Through, directed and produced by Rotarian Rachel, was performed to a select audience from a local care home. It was wonderful and the feed back was that more of this would welcome in the community. Your chance to see this Fairy Tale will be at our next Face2Face on Saturday 14th July, at Lily & Lime LD, 3rd Floor Central Library, Guildhall Square. Bring friends and family and enjoy this short performance over coffee and cakes. President Janice along with others from our South Wiltshire Satellite Group attended the Alabaré Ambassadors Evening to learn more about the Skydive in November, to support the Alabaré work with Veterans. Over vol au vents and cocktail sausages, we learnt what it would be like to jump out of an aircraft at 10,000 feet, while sitting on the instructors knee! Do help President Janice (Just Giving Page) and District Governor Allan to raise awareness of this event and the other 100 brave jumpers. We will be discussing further support at our next RSI South Wiltshire Face2Face on Monday 9th July. Our development of Rotary Social Innovation South Wiltshire continues at a pace and we are pleased that still more people are interested in joining us. At our August Face2Face we are having an Australian Rotarian who will tell us more about Rotary Down Under. The Charter Certificate for our joint Interact Club is awaiting presentation and the members are arranging for this to happen in early July before breakup. In the meantime great news, the coasters are selling like hot cakes and teachers putting in orders! Our Rotary lead thinks we’ve sold around 40 already at £1 a coaster. A good social enterprise to give the Interact group a budget to work with for further projects. We are also very excited that the International Music project got cracking this week! Four year 9 girls who are excited to be working on this and to be Interactors, are starting off to research how music can be used to relieve stress and also making contact with French school/s. It was good to hear this week that Stalking Units were being set up in some counties including Hampshire and we were pleased to have helped the Suzy Lamplugh Trust with their campaign earlier this year. Don’t forget to visit our Rotary Social Innovation Assembly Page where we share our plans for the new Rotary Year which commences on the 1st July, 2018. We are continuing to make contacts with groups in East Hampshire, any further help people can give us would be welcome. We have added two new pages to help us build this new proposed Satellite Group, they are East Hants Partners and East Hants News and Opportunities. Don’t forget you can also keep in touch via our Facebook Page and Twitter Feed, please spread the word by sharing. Rotary District 1110 first Council of the Rotary Year 18/19 will be on Saturday 7th July, 2018 at Mountbatten School, Romsey. District Governor Allan is having a presentation on Dementia Friendly Communities to urge all Rotarians across the District to get involved. Rotary District 1110 Conference is being held in Jersey in October, 2018, places can still be booked. 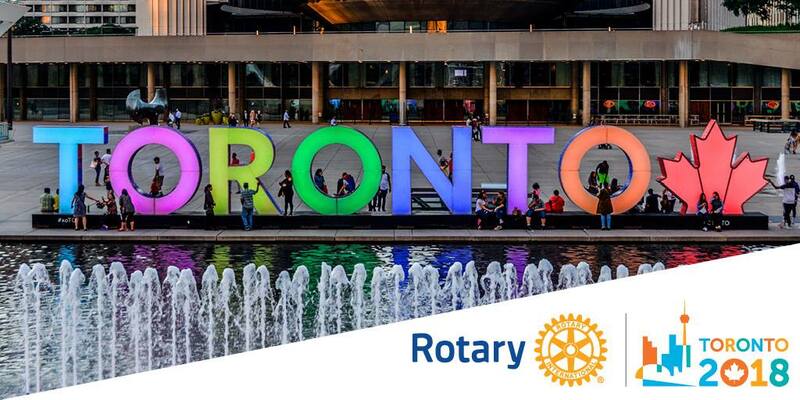 Do take a look at Rotary International Facebook Page and Twitter Feed see all the fun, inspiration and messages coming from this years RI Convention in Toronto, where 24,000 Rotarians from 175 countries are gathered.